Dr. Brooke R. Seckel is a nationally and internationally recognized authority on plastic surgery, facial aging, and scar treatment. 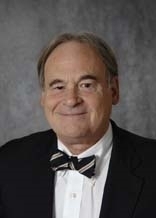 Dr. Seckel founded and directed the Lahey Center for Cosmetic and Laser Surgery (Lexington, Massachusetts) and the Department of Plastic Surgery at The Lahey Clinic in Burlington, Massachusetts, a large multi-specialty group practice hospital. At Lahey Clinic he founded the Residency Program in Plastic Surgery and the Plastic Surgery Research Laboratory and currently serves on the clinical staff. He also maintains an office and serves on the staff at Emerson Hospital (Concord, MA). Dr. Seckel is certified by the American Board of Plastic Surgery, The American Board of Neurology, and the American Board of Emergency Medicine. He is a member of the American Society for Aesthetic Plastic Surgery, American Society of Plastic Surgeons, American Association of Plastic Surgeons, and an Assistant Professor of Surgery at Harvard Medical School. 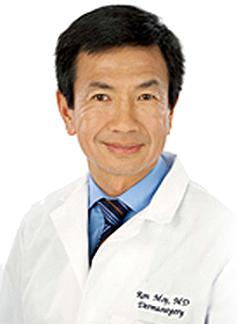 He has been recognized as one of the "Best Doctors in America" by Best Doctors® Inc. and as one of the "Top Doctors in Boston” by Boston Magazine. More recently, Dr. Seckel published Save Your Face: The Revolutionary Non-surgical 6-step Facial Rejuvenation Program which discusses, in easy to understand language, the causes and prevention of facial aging, and the revolutionary new non-surgical methods for facial rejuvenation. Plastic surgery is more than surgery—it’s an art form. “You get the benefits of the medical and surgical components and the ability to express your appreciation for art—form and function.” For most patients “It’s a happy specialty,” Dr. Seckel says. The field of plastic surgery plays an important role in when it comes to scars and scar-minimizing.Though some people believe going to a plastic surgeon means avoiding any scarring, Dr. Seckel reminds them that this is a misconception. “The public thinks they see a plastic surgeon and there will be no scars—of course this is just not true. Any time you make an incision on the skin, you create a scar. The trick is a plastic surgeon should be able to make that scar as hidden and not noticeable as possible.” Still he feels it’s important that patients have a conversation with their doctor about the best scar-minimizing route for them. Scar-minimizing should be a priority. “Today, within 10 days after a surgical incisions: breast lift, skin tumor, any incisions – we are using the new Lux1540 nonablative laser right away to minimize scars.” The quicker you act, the better your results will be. Starting laser scar treatments early “helps organize the healing tissue and really minimizes the scarring.” For Dr. Seckel, the benefit of having worked so closely with developing new lasers is giving his patients can expect to be given the newest treatment right after their bandages come off. It’s important to remember that visibly bad scars have abnormal scarring deep down in the dermis and collagen. Skin sinks in over the damage and causes the irregular appearance we recognize as a scar. The important part of scar-minimizing is build new collagen deep in the skin where the damage is. Nonablative lasers are able to achieve deep collagen-remodeling. Ablative lasers, on the other hand, remove surface defects, sun damage, pigment, and work to remove the irregular surface of scars. The ablative lasers scrub the skin and vaporize the surface of wounds. Because of this, sometimes ablative procedures can worsen scars. Some scars are wider beneath the surface than on the skin. Such scars would benefit more from rebuilding internal collagen. According to Dr. Seckel, “Nonablative lasers go all the way down to 1000 microns and do not vaporize. Nonablatives only heat islands of collagen deep in the skin, which causes new growth & plumps skin, minimizing scars.” This is why nonablative lasers are seen as more useful in scar treatments. “Most people today who have acne scars are thinking they want laser resurfacing—what people need to realize today is that they don’t need the traditional, old-fashioned laser resurfacing or ablative lasers. These lasers are not going to help acne scars. What they need are nonablative procedures that will go down deep and plump their scars.” Dr. Seckel treats both old and new scars with the nonablative. Deep scars, like acne scars, require a series of 3 nonablative treatments given 6 weeks apart. After this, Dr. Seckel waits another 3 months see final result and if, at 6 months, there is surface irregularity he then will turn to using the ablative lasers. Nonablative lasers are revolutionizing the way scars and skin irregularities are being treated. “It’s new, just being taught now among physicians. Even physicians are not up-to-date on this,” Dr. Seckel notes, “In fact, some physicians are taking an ablative laser and are going to make acne scars worse with it.” It’s important that the word gets out about these nonablactive techniques. “Educationally patients need to know that there is a new way to treat scars – it’s two years old. It is significantly new and many physicians are not fully aware of this new modality,” says Dr. Seckel. What is the most important piece of advice Dr. Seckel gives to patients looking into cosmetic surgery? Make sure the doctor administering any cosmetic technique is board certified. “People need to be very cautious – many medical spas operate without a physician present. The best thing people can do is find a board-certified surgeon that has been trained.” To Dr. Seckel, this problem is the biggest threat facing plastic surgeons today. “There are many people who are advertising as cosmetic surgeons who never had a day of surgical training. There are many practitioners who are not in fact trained in plastic surgery. Board-certified surgeons spend 8 years training in residency after medical school, taker a two-part board certification – they are not really board certified until 3-4 years after practicing.” So before you schedule anything – do your homework.